Custody Disputes in New Jersey – What are the Terms That You Need to Understand? November 27, 2013 | Karen T. Willitts, Esq. Custody disputes can sometimes remind me of the Biblical story of King Solomon (1 Kings 3:16-28). In this story, King Solomon is tasked with resolving an argument between two women in the same household, each of whom claimed to be the mother of an infant son. King Solomon fetches a sword and determines which woman is the child’s mother by telling them that he will “Cut the living child in two and give half to one and half to the other!” The baby’s mother asks that the King spare the child by giving the baby to the other woman, who was willing to have the baby be cut in half so that neither woman would have him.What speaks to me about this story in terms of custody disputes is the risk of harm to the child by virtue of the dispute itself and the inability of the adults to resolve it. Second, is the notion that a child is like property that can be cut up and divided, or that a child is prize to be won. Ideally, parents will realize that their relationship as parents has not come to an end, and they will be able to set aside their personal disappointment, anger and resentment towards one another and decide what custody and parenting time arrangement would be in the best interest of their children. If parents cannot do so together, even with the assistance of counsel or perhaps alternative dispute resolution, then the family court will be called upon to enter an order for custody and parenting time. It is helpful for parents to understand the standards and terms that the family court uses when making custody determinations. In New Jersey, family courts are authorized by the Legislature to “make such order . . . as to the care, custody, education and maintenance of the children or any of them, as the circumstances of the case shall render fit, reasonable and just.” N.J.S.A. 2A:34-23. Parents may be surprised that this statute gives a family court judge such broad discretion custody decisions. The Legislature in enacting the custody statute described the State’s public policy to “assure minor children of frequent and continuing contact with both parents after the parents have separated or dissolved their marriage and that it is in the public interest to encourage parents to share the rights and responsibilities of child rearing in order to effect this policy.” N.J.S.A. 9:2-4. The Supreme Court of New Jersey has noted the “legislative preference for custody decrees that allow both parents full and genuine involvement in the lives of their children following a divorce” and that “in promoting the child’s welfare, the court should strain every effort to attain for the child the affection of both parents rather than one.” Beck v. Beck, 86 N.J. 480, 485 (1984). the age and number of the children. N.J.S.A. 9:2-4. Any other custody arrangement that the Court determines is in the child’s best interest. Parents can be confused by what is meant by “joint custody” and what, if any, presumptions exist related to custody. As explained by the New Jersey Supreme Court, the term “Joint Custody” actually involves two elements: Legal Custody and Physical Custody. Beck, 86 N.J. at 486-87. Legal custody involves the parents’ responsibilities for making major decisions affecting the child’s well-being. Therefore, parents with joint legal custody, share responsibility for the “major” decisions affecting the child’s welfare. 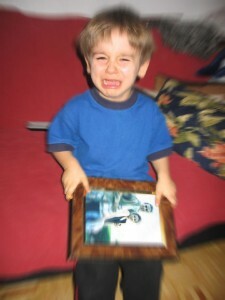 Physical custody involves the actual parenting time arrangements between the parents – where the child is physically living and allocating his/her time between the parents. The parent who has the child during his/her parenting time makes the “minor” day-to-day parenting decisions when with the child. Id. at 486. The Supreme Court in Beck approved of the concept of joint custody as an alternative to sole custody. The Court pointed out that the “root of the joint custody arrangement is the assumption that children in a unified family setting develop attachments to both parents and the severance of either of these attachments is contrary to the child’s best interest”. The legal custody component of joint custody allows the children to maintain those parental attachments by allowing both parents to remain decision makers in the lives of their children, while physical custody arrangements allow the children to share the day-to-day contact. Beck, 86 N.J. at 487. The Court acknowledged that joint custody requires parents to not necessarily have an amicable relationship, but to be able to set aside their feelings of anger toward one another to be able to parent cooperatively. The Supreme Court, however, expressly stated that it was not adopting any presumption as to any particular custody arrangement. Some parents incorrectly believe that there is a presumption in the courts in favor of 50/50 parenting time. There is no presumption. The Supreme Court reasoned that courst are supposed to undergo a “meticulous fact-finding” process when making custody determinations in the best interest of children. In 1995, the Supreme Court discussed additional custody terms that relate to the “best interest of the child” standard. In Pascale v. Pascale, 140 N.J. 583 (1995), the Supreme Court stated the importance of determining which parent is the “primary caretaker” and which is the “secondary caretaker”. The Court re-affirmed the notion that joint custody is comprised of two elements – legal and physical custody – and that it is important to break down the term “joint custody” into those components when reviewing a custody order. Id. at 595-96. The Court stated that “In cases of only joint legal custody, the roles that both parents play in their children’s lives differ depending on their custodial functions. In common parlance, a parent who does not have physical custody over the child is the ‘non-custodial parent’ and the one with sole residential or physical custody is the ‘custodial parent’. Because those terms fail to describe custodial functions accurately, we adopt today the term ‘primary caretaker’ to refer to the ‘custodial parent’ and the term ‘secondary caretaker’ to refer to the non-custodial parent.’” Id. at 597-98. The role of ‘primary caretaker’ can be filled by men or women, and the Court acknowledged that more fathers are becoming primary caretakers. Id. at 598. To determine who the “primary caretaker” is, the courts will examine the “many tasks that make one parent the primary, rather than secondary, caretaker: Preparing and planning of meals; bathing, grooming, and dressing; purchasing, cleaning, and caring for clothes; medical care, including nursing and general trips to physicians; arranging for social interaction among papers; arranging for alternative care, i.e., babysitting or daycare; putting child to bed at night, attending to the child in the middle of the night, and waking the child in the morning; disciplining; and educating the child in a religious or cultural manner.” Id. at 598-99. These patterns are usually established during the marriage. In Benisch v. Benisch, 347 N.J. Super. 393 (App. Div. 2002), the Appellate Division discussed more custody terms, noting that the Child Support Guidelines refer to the “Parent of Primary Residence” (PPR) and the “Parent of Alternate Residence” (PAR), and that these designations have monetary effects. The Parent of Primary Residence is the parent, in a shared parenting arrangement, with whom a child resides more than 50% of the time. If the child spends equal time with each parent, the PAR is the parent with whom the child resides while attending school”. Id. at 396. Based on the standards established above and the discretion afforded to family court judges, a custody dispute is complex and must be handled with sensitivity and precise knowledge of the law and standards to be applied. The law office of James P. Yudes, A Professional Corporation has experience in custody matters and is available to assist you in this vitally important family issue.